Genesis Pediatric Therapy Now Offering Summer Camps! Explore the senses with activities such as dancing, singing, obstacle courses, rolling, jumping, messy play, and sensory walks! Children will be provided an opportunity to negotiate a rich sensory environment with each other while improving language, social, and developmental gross and fine motor skills! Come brush up your handwriting skills before school starts! These groups will address skills on an age appropriate level including prehandwriting skills, letter formation, utilizing adequate spacing, letter sizing, and writing on a line more efficiently. Activities will include writing practice and other play activities to promote knowledge of handwriting and help develop muscles needed to write effectively! Have fun while learning the importance of physical activity! These groups will promote age appropriate play-based gross motor skills that will help improve balance, coordination, and strength! This group will focus on increasing functional arm and hand use in children with decreased active range of motion, strength, and coordination on one side. Children in the group will work together with their peers to accomplish fun, functional tasks using their non-dominant hand in order to help build important upper extremity skills needed for increased independence with self-care, community, school, and leisure tasks. Yoga has shown many benefits for children including improved muscle strength, body awareness, stress release, and emotional and behavioral regulation! Learn the basics of yoga in this fun group! Call (319) 853-0596 to learn more about which Summer Camps would be the best fit for you child or to reserve your child’s spot today! Limited spaces available for each group! Hope everyone is as excited for summer as we are! We’d like to give a big thank you to the North Liberty Community Library for hosting this month’s autism – friendly browsing hour! In celebration of the Chinese New Year, attendees made paper lanterns, kites, and were able to bring home a special “Year of the Dog” gift from ICAC. We also had a lovely visit from Cora, the Therapy Cat! Thank you, Erin Sehorn Silva for all that you do for our community. 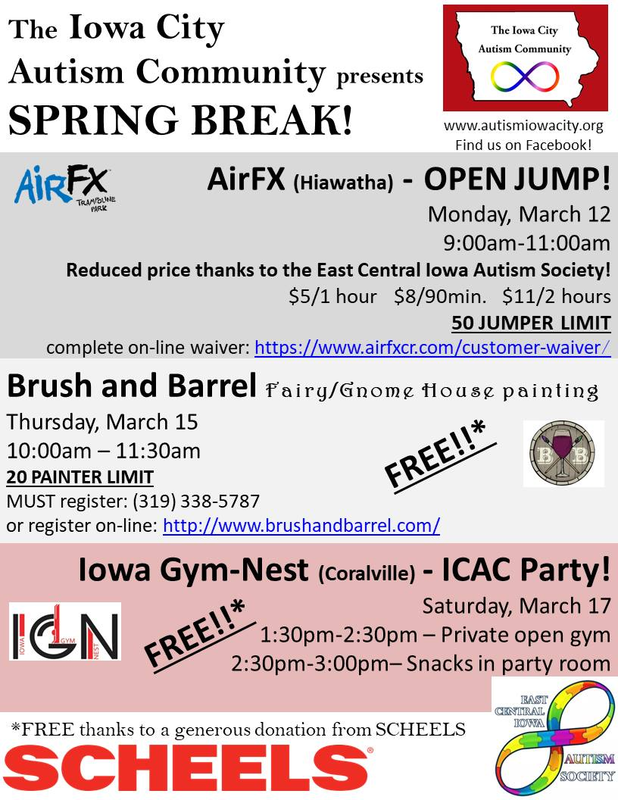 ICAC Spring Break Activity Line Up Announced! Check out these activities over the ICCSD Spring Break! 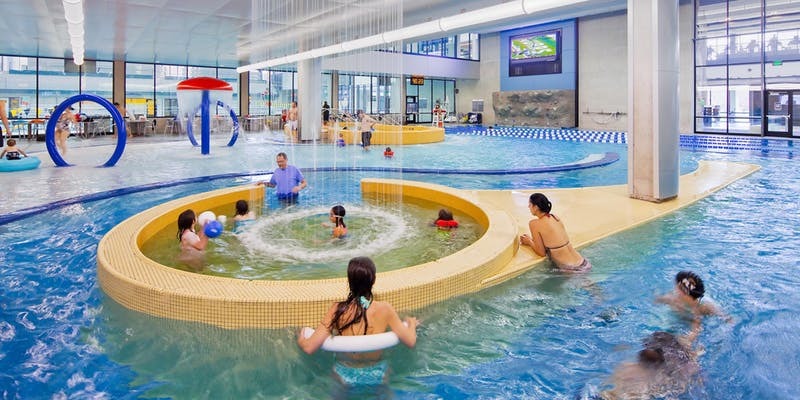 We also have leisure pool swims scheduled for March 31, 10:30-noon and April 21, 4:00-5:30. PLEASE NOTE that registration is *required* for Brush and Barrel as we limit this event to 20 painters. Please call 319-338-5787 to sign up. All events are ALL AGES and siblings are always welcome! New Support Groups Now Offered Through Childserve! Childserve now has a diverse offering of support groups in order to address a variety of caregiver needs. If you have any questions, please contact Monica at monicag@childserve.org.